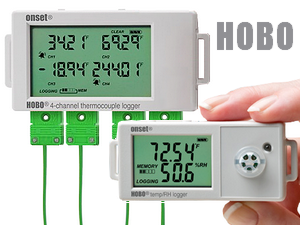 We now stock and sell a range of HOBO temperature and humidity data loggers. TMS can also supply them complete with UKAS calibration and thermocouples. 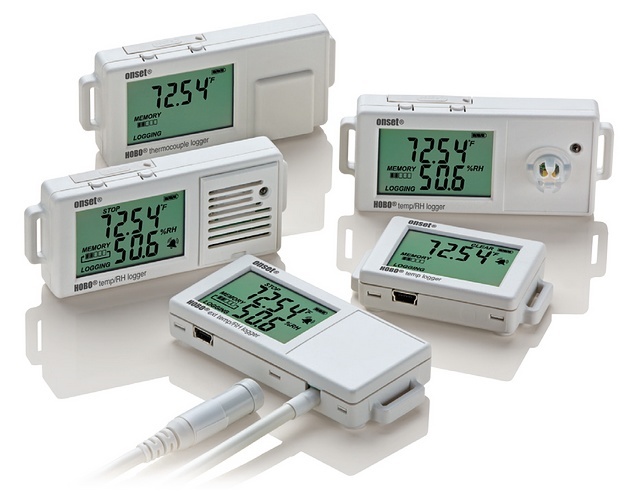 TMS Europe Ltd now stocks and sells a range of American manufacturer Onset’s temperature and humidity data loggers. Adding to our existing broad range of data acquisition products, which includes Hanwell loggers and ABB panel mount recorders, to name a few. Each HOBO logger has a built-in LCD displaying the current measured value while previous values are stored in its internal memory and can be downloaded to a computer via USB. Once on the computer, the data can be viewed and analysed in the HOBOware software or exported to Excel. The models with thermocouple inputs are very versatile, as we can supply an ever growing range of common thermocouples from stock or manufacture thermocouples to customers’ requirements.